For the past six years, we’ve been working to improve the mortgage process for lenders and borrowers alike. Much of how we have gone about doing that stems from our fundamental belief that with the right data, engineering, and design — as well as insights and guidance from customers and industry partners — we can make lending a seamless experience for everyone involved. So far, our product has helped our 100+ customers take concrete steps toward a better future by making their operations more efficient, secure, and delightful. Today, we’re excited to announce a new leap forward available to lenders everywhere: Blend Intelligence. Blend Intelligence is a predictive engine comprised of machine learning, as well as simple and advanced rules that deliver automation. It’s designed to learn from how lenders interact with our platform to continuously improve its performance over time. The engine gives consumers a more real-time experience while lowering processing costs for lenders. To do that, it relies on cutting-edge technologies and a novel approach to the mortgage origination process. Let’s take Blend Intelligence’s predictive modeling as an example of real change that technology can have on loan origination. It may be easiest to think about the end result as a powerful recommendation engine. In the same way that Netflix recommends movies based on your past viewing behavior, Blend Intelligence recommends loan conditions based on past lender behavior. After following simple rules to automatically request common documents like pay stubs, the recommendation engine can intelligently suggest follow-up requests for rarer conditions like terms of withdrawal or a profit and loss statement. Blend Intelligence removes steps in the process and saves time for borrowers and lenders alike. The combination of simple rules with machine learning serves as an important safety net for loan officers and underwriters because predictive modeling can help figure out what conditions are missing upstream rather than downstream — especially those conditions that aren’t immediately obvious. We use this added layer of machine learning because we know that basic rules aren’t enough for the complex loan industry. We also know that this technology will help lenders achieve lower costs and more efficient loan processing because there is less need for loan team intervention. This is where the magic really happens. 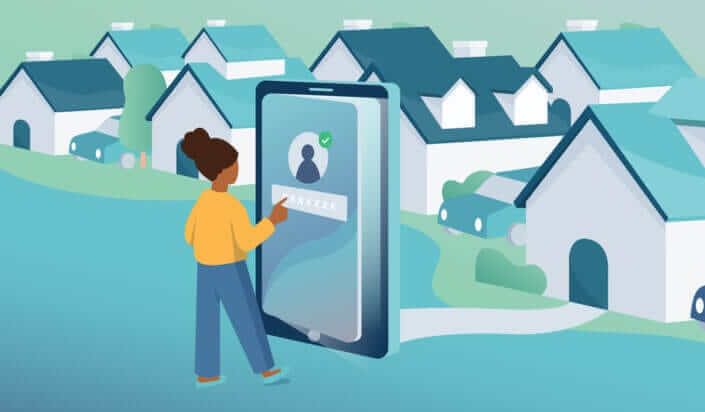 The potential scope and impact of Blend Intelligence transcend that of any existing mortgage technology because of its ability to learn from activity within Blend and improve itself over time. Because the Blend engine helps power 25% of the mortgage market, it can learn from a significant amount of activity and provide the meaningful evolution that the industry desperately needs. Already this year, our platform has collected more than $150B in loan applications. On top of impressive volume, Blend is a platform that integrates with third-party sources (e.g. consumer data sources, product, and pricing engines) and includes Blend Vision, which means we can base our recommendations on an even more comprehensive set of data. That’s given our engine what it needs to hone its performance and our team the necessary proof points to make educated decisions and evolve our product intelligently. We’re excited about the future of Blend Intelligence because it’s only going to get better with age. It’s in our DNA at Blend to think differently about how to solve the pains that have plagued the lending industry for decades. Look at the mortgage technology available in the marketplace. We see that most of today’s technologies are meeting lenders’ processes where they are right now — putting Band-Aids on systems and processes we all agree are fundamentally broken — rather than rethinking the way lending should happen. That’s not what we want to do. At Blend, our team is full of people from the lending industry who explicitly came to Blend to solve problems they used to feel the weight of every day, and others who want to work to solve big, meaningful problems. We wanted to build an innovative engine with game-changing technology because that’s the type of leap forward we believe will actually advance the industry we care so much about. To learn more about Blend, check out our product page. If you’re interested in joining the team and helping build the future of lending, please take a look at our open opportunities.